Celtic Sea Salt light grey Celtic is a doctor-recommended, completely unrefined kosher and hand-harvested authentic sea salt from the coastal region of France. It is dried by the sun and the wind, retaining the ocean’s moisture and locking in a vast array of vital trace minerals. Celtic Sea Salt light grey Celtic is a coarse, moist salt that gets a light grey hue from the pure clay soil it is harvested from. There is no comparison, in taste or in health effects, between mineral-rich Celtic Sea Salt and chemically-treated iodized salts. Celtic Sea Salt light grey Celtic has a rustic old-world flavor that is more assertive than other salts. Celtic Sea Salt is truly a whole sea salt highly recommended by health professionals and culinary chefs. 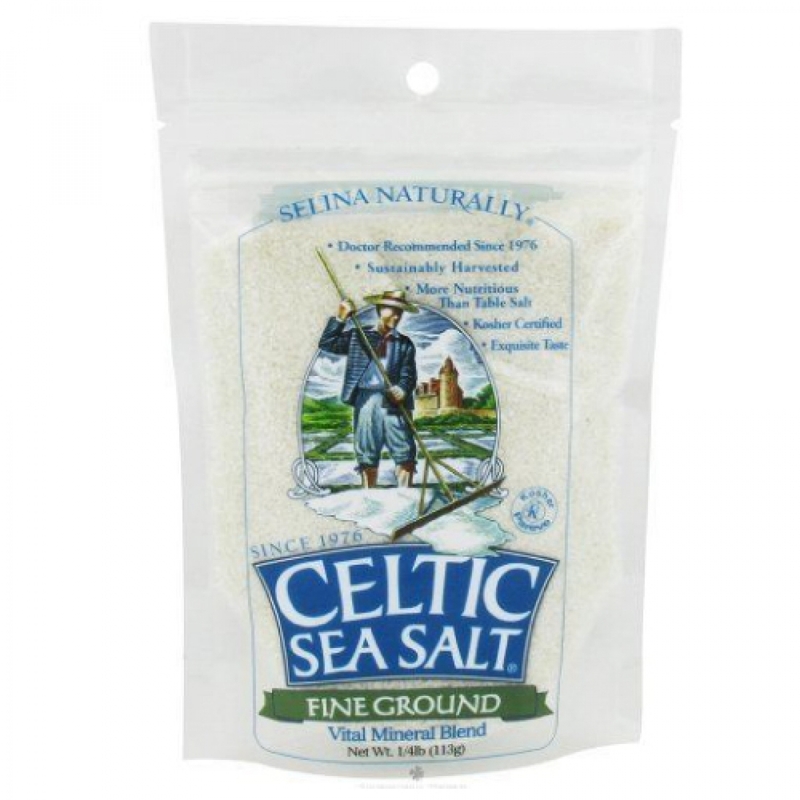 Celtic Sea Salt provides your body with over 80 minerals while enriching the flavor of all foods. Third party Certified by Europe's Nature and Progres to be free from pesticides, herbicides and harmful chemicals. Pure, moist, biologically active, and free from any chemicals or additives, Celtic Sea Salt® is salt the way it is meant to be. Since 1976, Celtic Sea Salt® Brand Sea Salt has developed a reputation as one of the finest sea salts in the world. Artisan crafted and sustainably hand-harvested Celtic Sea Salt® Brand provides a healthy and flavorful alternative to refined salt.